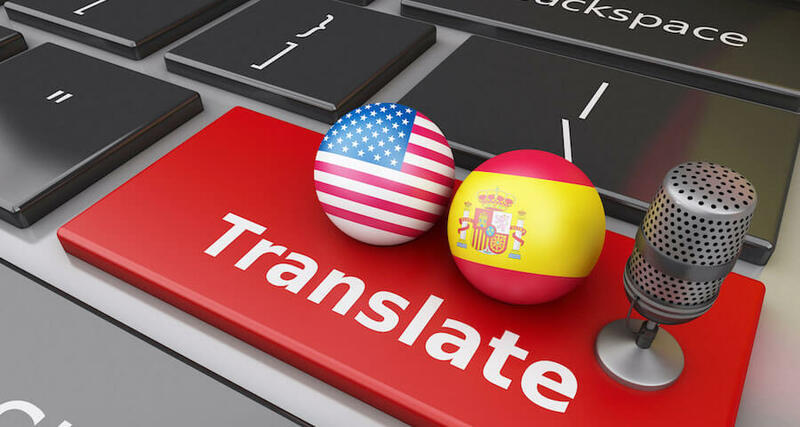 As the United States now houses the second largest Spanish speaking population, it’s evident that the popularity of the language is continuing to grow. And if you’re one of the many people whose interest in the language has lead you to look for the best Spanish Language program so you can begin your journey to foreign language fluency, then you’re not alone. However, before you start a language program, you should begin to familiarize yourself with the language to make your journey towards fluency easier. One great way to build up interest and motivation in the language is to look at words that don’t translate directly into English. These words will show you the range of Spanish while also showcasing some the culture from Spanish speaking nations. “Antier” means “the day after tomorrow.” While we can say that in English, it takes a lot more words to describe what this word describes in one. Very similar to the sublime or a feeling of away, “duende” describe an emotionally overwhelming feeling when you experience something that has a certain appeal towards it. This can be from when you look out at a landscape to when your hear a song that simply takes you someplace else. This is a word any person learning Spanish in America should know. If you’re ever traveling in South America, and someone asks you from, your first reply may be to say, “American.” However, many people other countries throughout Middle and South America may further inquire, “Where exactly in America are you from?” To them, they are American too. The best response is, “Estadounidense.” It lets them know that you’re from the U.S.
Next to buying new clothes, trying them on for the first time is probably one of the best feelings. To communicate this to another Spanish speaker, you could simply say, “estrenar.” It illustrates how it feels to wear a piece of clothing for the first time. Older people are known to be “friolento.” You’ve no doubt experienced this when you go to visit your grandparents growing up and found their houses to be exceptionally warm. A “friolento” is someone who tends to easily get cold. “Madrugar” is similar to the concept of an early bird. Derived from “madrugada” or the Spanish for “early morning,” it defines the type of person who enjoys waking up to see the sunrise and attack the day from the beginning of it. “Merendar” are hunger pains. They tell you it’s time to eat. “Mimoso” is the type of person always looking for the spotlight. Whether it’s countless selfies on instagra or trying to hold onto the room during a conversation, a “mimoso” lives for the spotlight. And it’s not only people, but pets are guilty of being this as well. Someone who has “morbo” has a deep interest into terror, horror, and the macabre. These are the people who love scary stories and enjoy the thrill of a horror movie that makes them shudder when they hear a noise in the middle of the night. “Pardo” describes a color between brown and grey. You’ve probably seen cars this color and have called it a “brownish-grey.” Luckily, there’s a specific word for it in Spanish. While a “punte” is a bridge, it has another meaning aside from that. A “puente” also refers to the act of taking an extra day off between holidays to “bridge” your vacation time or give you more time to relax. While a quinceanera refers to a child’s 15 year birthday party and is an extremely important date in any youn girl’s life, a “quincena” is something much different. It refers to a period of 15 days, or a pay period. It’s used to describe the wait people tend to have for their paychecks to arrive. One of the best parts of any meal with friends is the conversation you have well into the night after the food has cleared. This conversation is knowing as “sobremesa” or “over the table.” And describes the long conversations had after a meal. If you’ve ever found yourself in a relationship with someone who you care about but you’re not quite ready to say “I love you,” but still want to communicate feelings for that person, then you could say, “Te quiero.” This phrase helps prevent any awkwardness during that gray area between friend and partner. “Tocayo” is a person who has the same name as you. They can either be your best friend or your worst enemy depending on how annoyed you get at hearing your name called only to find out that they weren’t trying to talk to you. “Transnochar” describes the action of “staying up late into the night.” Whether you’re cramming for a final or going out with friends, you’ve experienced this word. You’ll notice “noche” or “night” in there as a root. A Tuetro is a man who only has one eye. “Vergüenza ajena” is the feeling you get watching someone embarrass themselves. If you’ve ever watched a prank or weird moments other people have with strangers (seeing someone singing loudly and out of tune in public for instance), you’ve felt, “vergüenza ajena.” Typically, it’s meant to describe people who can’t feel the embarrassment for themselves. Every language has words that describe significant ideas that are part of the culture represents. Learning and understanding Spanish opens you up to a list of countries teaming with vivid cultures that add perspective you previously didn’t have. By understanding words that do not traditionally translate into English, you can gain better insight into the lives and cultures of those who speak Spanish. You can also have a deeper appreciation for a language that continues to expand around the world today.